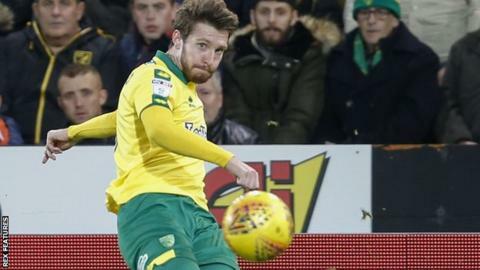 League One club Fleetwood Town have signed Norwich City left-back James Husband on loan until January. The 24-year-old has previously played for Doncaster and Middlesbrough, along with loan spells at Fulham and Huddersfield. Since joining in July 2017, Husband has made a total of 22 appearances for Championship side Norwich. "We are really pleased to have James with us at Fleetwood Town," said Cod Army boss Joey Barton. "He will add more competition at left-back and brings Championship level experience to our team. He is fit and ready to go and I can't wait to see him in action for us."